Bianca Walkden is targeting end of year success after suffering another near miss in the last World Grand Prix final of the season. For the second successive Grand Prix event, the twice world champion lost to China’s Shuyin Zheng in the heavyweight final. Beaten 9-7 in Manchester last month, the 27-year-old Liverpudlian this time went down 17-8 against the reigning Olympic champion. “I did a lot better than Manchester but the score doesn’t reflect how close the fight was,” said Walkden. “So, I can only learn from it. Walkden, last year’s overall Grand Prix champion, finishes the 2018 series with three silvers and a bronze. “I am so disappointed I didn’t win gold again,” she added. “At the end of the day I would give up every Grand Prix for me to win the world title again in May. Walkden now has a fortnight to prepare for the second edition of the World Grand Slam tournament in Wuxi, China. 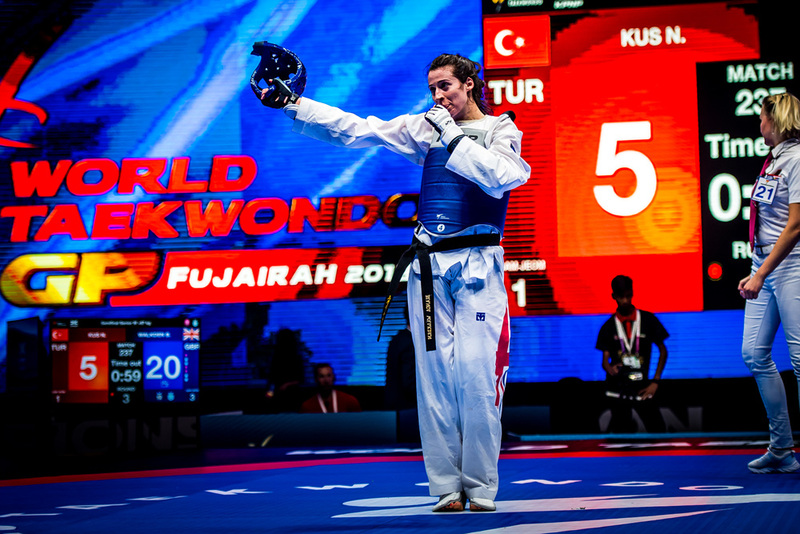 Twelve months ago she defeated American Jackie Galloway in the +67kg final to scoop a record-breaking £52,000 prize. “At least I am consistent even if it’s not the consistency of colour I want.